When Starbucks introduced its mobile ordering app, there was lots of commentary about what it meant for consumers. They could avoid long lines, specify exactly the drink they wanted, and pop in and out of the store without worrying about being late. In addition, baristas could work more efficiently, balancing out the in-person orders with the printed orders to get drinks ready quickly and accurately. But there has been another outcome that we might not have predicted. The mobile app allows consumers to type in their names. In stores, the printed label then reproduces those names exactly, so no matter how unusual the spelling of your name, it is going to appear correctly on the cup. That should be a good thing—the company is getting something right. But more and more customers are complaining that they miss the “good old days” when baristas made wild guesses at how to spell their names, then wrote various versions by hand, often with a smiley face or question mark when the name was really tough. In a way, the errors were part of the fun. There was a game element, as people waited to see just what spelling would appear when their coffee was ready, as well as what pronunciation the barista who had made their latte or mocha would come up with when calling out their names to announce that the drink was ready. The nostalgia for incorrect name spellings might signal something a little more though. Starbucks has long established itself as a “third place,” beyond work or home, where customers could stop and visit for a while, interacting with other customers but also with friendly baristas who even might come to seem like pals. The mobile app eliminates this interaction for the most part. Even if a barista acknowledges a customer who pops in to pick up a preordered drink, their interaction is brief and less personalized. For Starbucks, the question also is whether customers ordering through the mobile app spend more or less than those who stand in line to place their orders. In the stores, customers are exposed to appealing music playing, such that they might grab the CDs available for sale at the counter. They also might be unable to resist the allure of a pastry or find themselves reminded to grab a bag of coffee beans for home. Such impulse buys may be less likely for customers in a rush, who are trying to get their mobile order as fast as possible. But Starbucks also notes that the mobile app avoids the losses of sales that occurred when busy consumers simply avoided buying anything when faced with long lines at their local shop. And for every “Eugenia” who misses the fun of seeing her name spelled “Ogenia” or “Ugena,” there is a “Sathyarajkumar” who long ago gave up on the idea of having his full name written with any accuracy but still found it frustrating that baristas could not even spell his nickname “Raj” correctly. 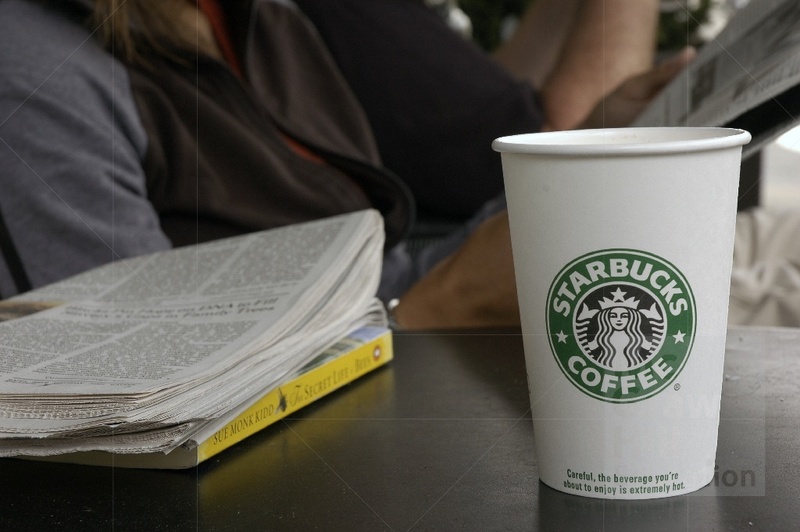 Ultimately, is the mobile app hurting or enhancing the Starbucks experience?